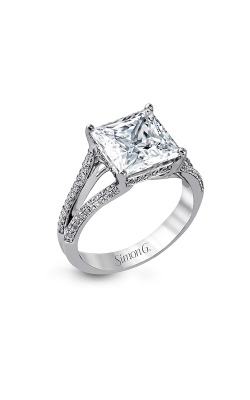 The princess cut is one of the most popular diamond cut shapes, next to the round brilliant cut. The princess cut was originally created in the 1960s, and it has gained popularity in recent years as a striking alternative to the round brilliant cut. This diamond shape retains about 80% of the rough diamond, whereas the round brilliant retains only about 50% of the rough. 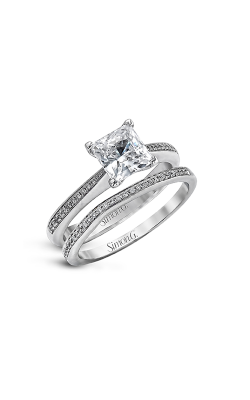 The princess cut is popular amongst diamond cutters because of the ability to retain more crystal weight. 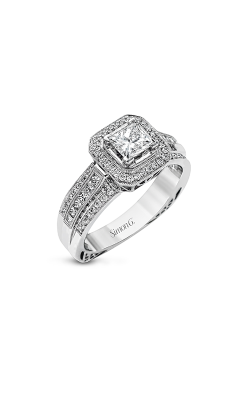 Princess cut rings have the sparkle of round brilliant diamonds but in a square shape. 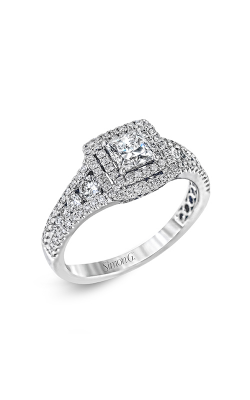 Tacori is known for its iconic crescent silhouette, with diamonds set on the inner face of the ring. The side-by-side crescent shapes are designed to represent the top portion of a heart. Rings in the Classic Crescent collection are romantic and feminine. The Classic Crescent collection combines traditional elements with an innovative shape. The Clean Crescent collection re-imagines this signature Tacori pattern into smaller and more streamlined crescent detailing. In this collection, the diamonds on the ceiling of the ring are the focus point. 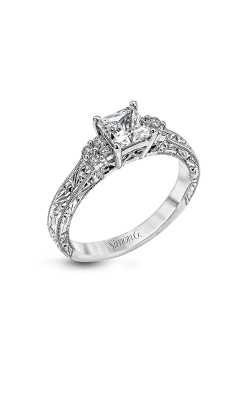 Clean Crescent rings have a modern look while giving a nod to the original Tacori touch. 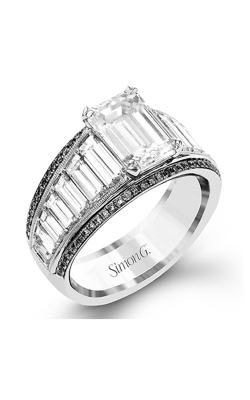 Simon G is known for the brand’s passion and artistry in fine jewelry. Designers use 3D technology to capture every aspect of the design from initial concept to final model. The Modern Enchantment collection bridges timeless designs with bold, modern touches. White diamonds are paired with unexpected gemstones such as pink sapphire and green tsavorite. The bridal jewelry from the Passion collection have more traditional curves. 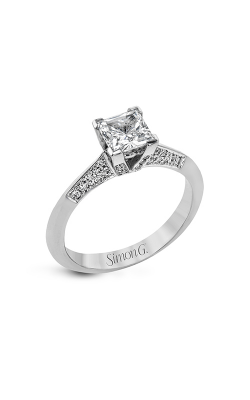 These are graceful, feminine pieces with the dramatic touches that Simon G is known for, such as openwork designs that put the diamonds at center stage. 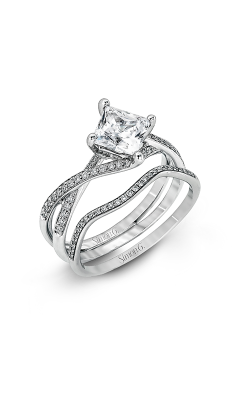 Why Shop for Princess Cut Engagement Rings at Merry Richards Jewelers? Merry Richards Jewelers is located in Oakbrook Terrace, Illinois. 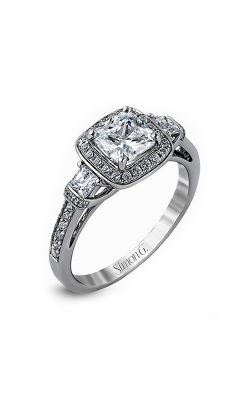 We provide the highest quality jewelry and professional jewelry services to Northbrook, Hinsdale, and Evanston. 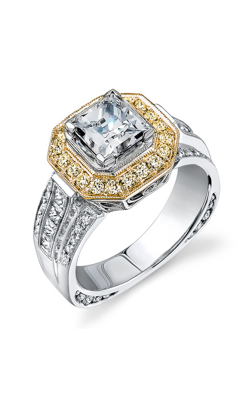 Merry Richards is a family-owned and operated luxury jeweler that offers the finest jewelry and bridal collections. 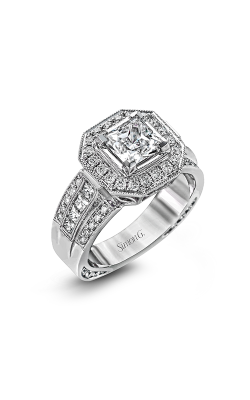 Our name is synonymous with the finest cut diamonds. Our philosophy of personalized customer service and the utmost attention to detail has made us a premier jewelry destination since 1985. 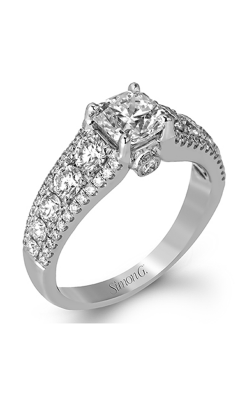 Our expert designers also create custom engagement rings. 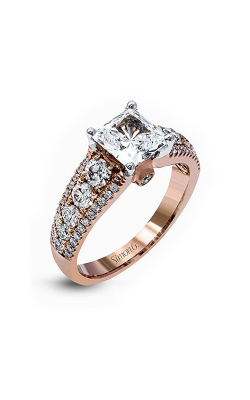 For more information on the products and services offered at Merry Richards Jewelers, please visit Merryrichardsjewelers.com or call (650)-516-8000.